These software implementations help debugging hardware implementation because of the simplicity to extract intermediate values. Additionally, it allows a designer to generated new test vectors easily. For each block ciphers, two files are provided: (Cipher)_lib.m and (Cipher).m (Example: LILLIPUT_lib.m and LILLIPUT.m). For Lilliput, four different implementations are provided with four different versions of the key schedule. In each archive, Lilliput_(i) refers to version (i) of the key schedule. 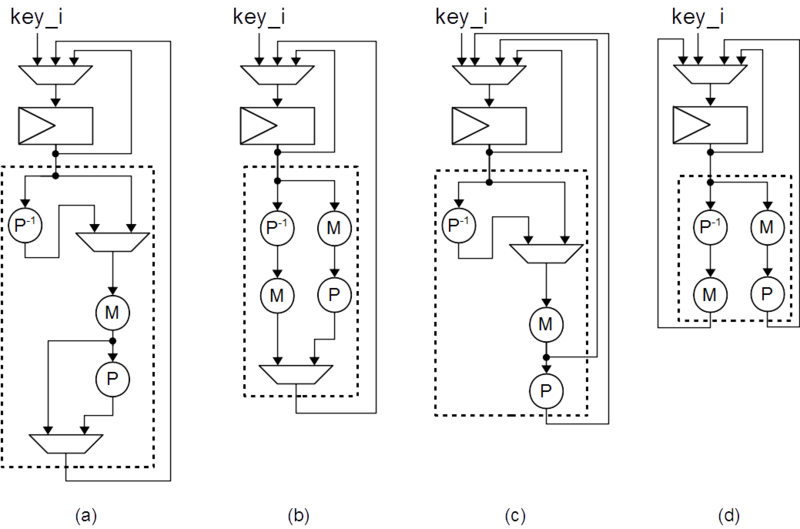 The Figure bellow presents the four versions of the keyschedule. The specification of all implemented ciphers can be found in the reference list (Se The specification of all implemented ciphers can be found in the reference list (Section 4). The common framework divides the implementation in two parts: the data path and the controller. 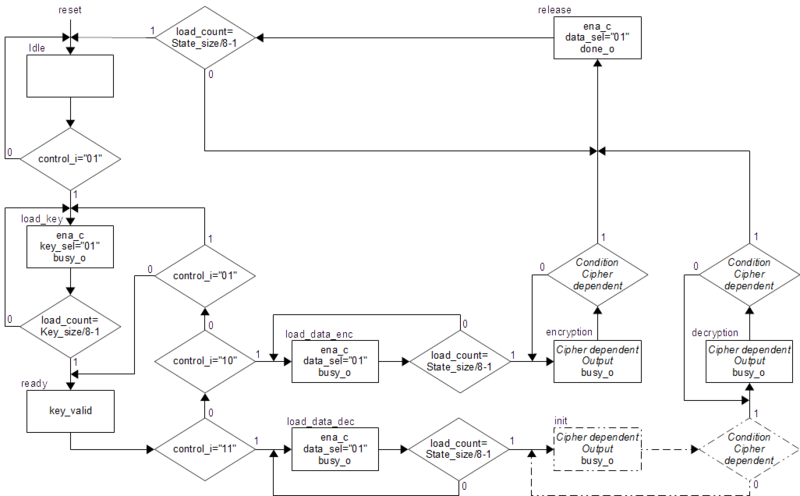 The Figure below presents the block diagram of this framework. done_o The operation is done; the result is available at the data_o output. The Figure below shows the ASM chart of the controller. Only few part of this controller has to be changed depending on the implemented algorithm. This feature makes possible to do fair comparison of several block ciphers but also of other kind of algorithms.